Homebrew Con 2018 gave me the perfect excuse to visit Portland, Ore., taste some delicious beers, and visit my oldest friend. Win, win, win! 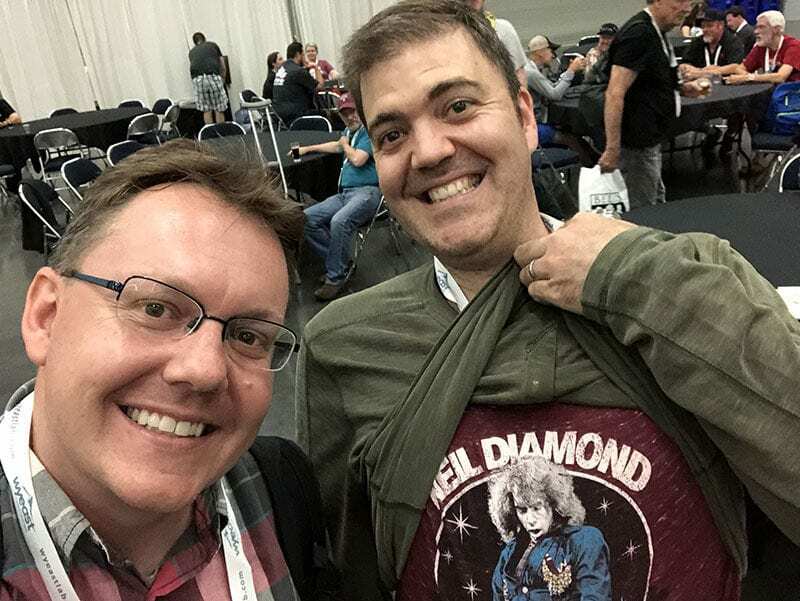 I wrote about my experience at Homebrew Con, but I couldn’t fit in all the wonderful beer I tasted outside of the conference. 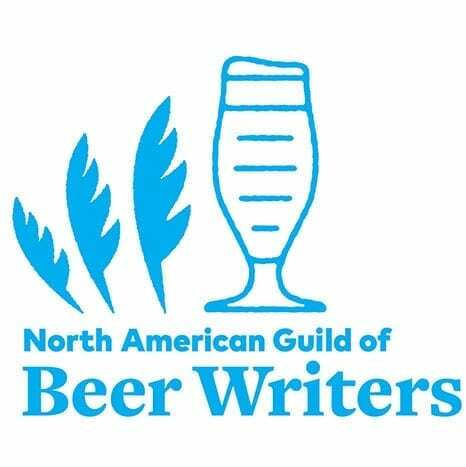 Instead, I saved writing about a few of my extracurricular tastings for the latest Beer Travels. 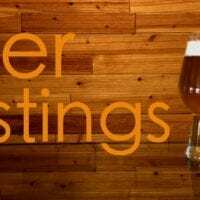 I’d finished up my Homebrew Con sessions for the day and planned my own brewery mini-tour. With more than 100 craft breweries in the Portland metro area, I figured it would be easy to find a few within walking distance of each other. I took a Lyft a couple miles south of the Oregon Convention Center and found exactly what I had hoped. 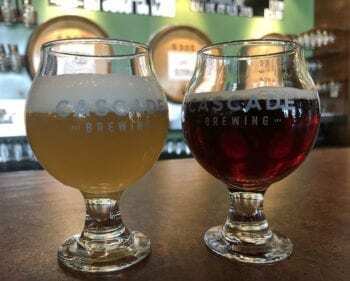 Cascade Brewing Barrel House — The House of Sour. Jimi Blendrix, right, delivered a nice raspberry tartness. The Jimi Blendrix, a deep purple “live from the barrel” offering, stood out for me. Raspberry tartness and Pinot Noir fruitiness shined brightly in this 8.4% ABV brew. Tastings at the Rogue East Side Pub and Pilot Brewery. 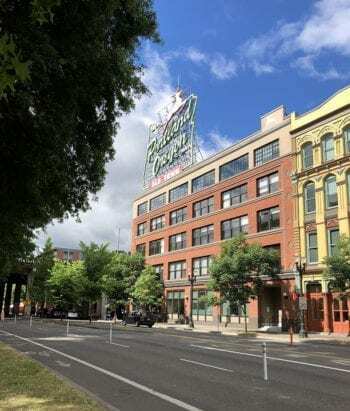 I walked across the street to the Rogue Eastside Pub & Pilot Brewery. 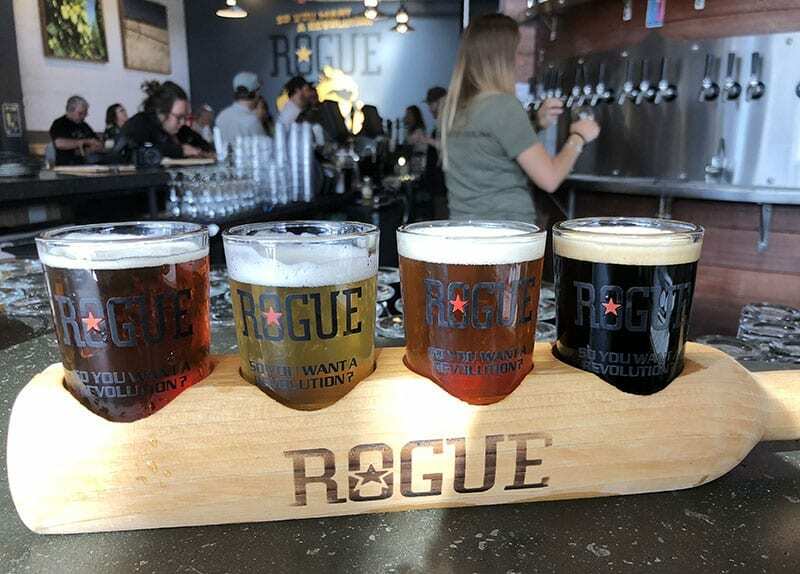 A taster flight allowed me to enjoy Rogue beers that are difficult to come by on draft — Shakespeare Oatmeal Stout, Dead Guy Ale — in Utah. A taster of the MOJO SMASH Ale is worth noting, however. 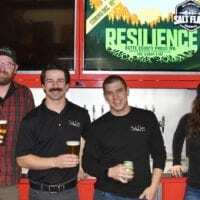 The experimental beer showcases Rogue Farms’ Keven hops. These hops provide a nice spiciness, which complement nicely the roasted Best Red X malt. 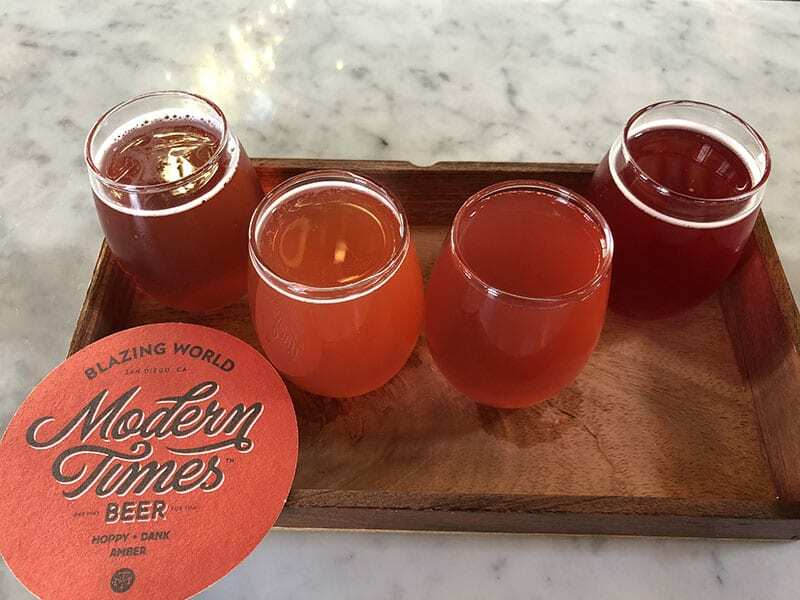 Pink is the new beer color at Modern Times. 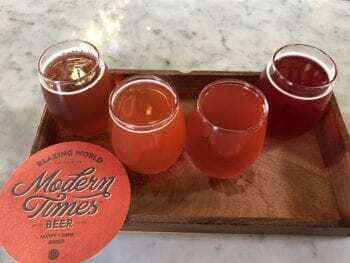 A few paces west landed me at The Belmont Fermentorium tasting room by Modern Times Beer. 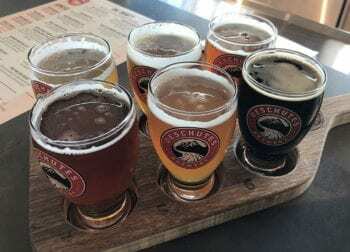 My first taster flight featured three beers brewed in Portland, highlighted by the Fruitlands with Passion Fruit & Guava. I couldn’t pass up a second flight here. And I’m glad I stayed, if for no other reason than to marvel at the beautiful pink pours before me. Revolution of the Moon, Fosco, Wavesplitter, and Neon Tiger were more than pretty; they were delightfully sour. A line out the door at quittin’ time on Friday night at Wayfinder Beer. 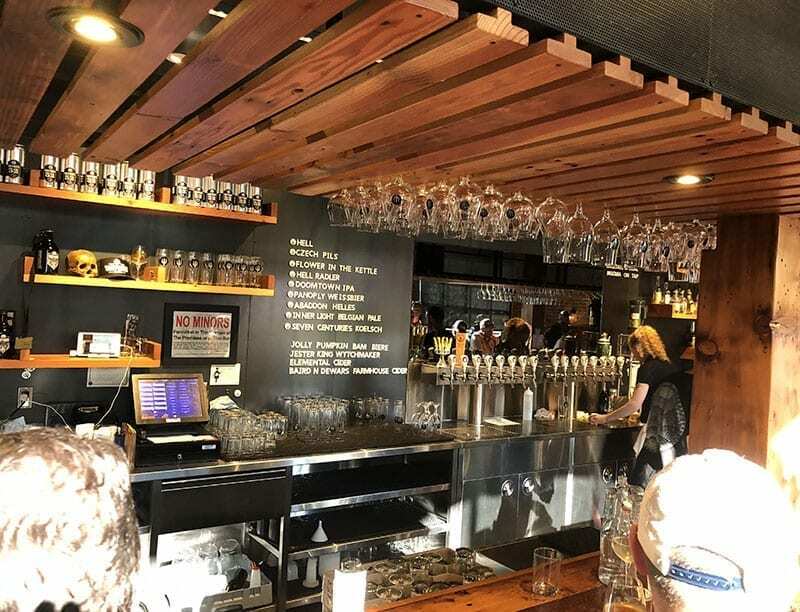 A line out the door greeted me as I approached Wayfinder Beer, winner of “Best New Brewery” at the 2018 Oregon Beer Awards. Not to be deterred, I wound my way through the line before snagging a just-vacated seat at the bar. Tasters, I was told, weren’t available. 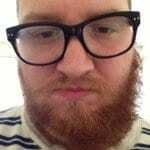 So I ordered a pint of Doomtown IPA and fish and chips. The beer proved to be a hugely aromatic and nicely hopped West Coast IPA. A burger (not pictured) and a beer at Burnside Brewing. 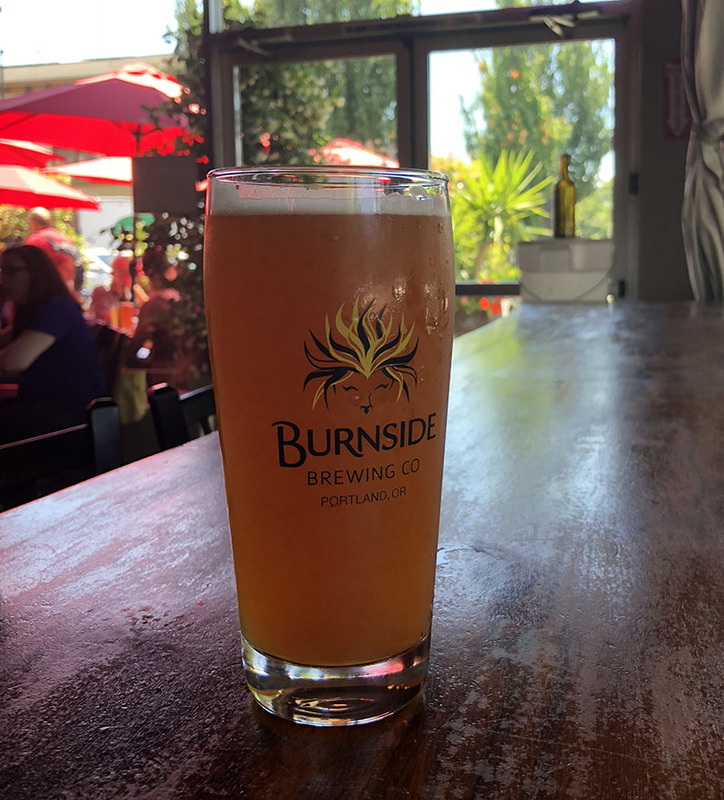 Earlier in the day, I grabbed a beer and a burger at Burnside Brewing. I enjoyed pints of Isomer IPA and Oatmeal Pale Ale. 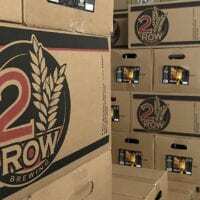 The beers, especially the Isomer — with Meridian and Eukanot hops — were above average, but the service left much to be desired. 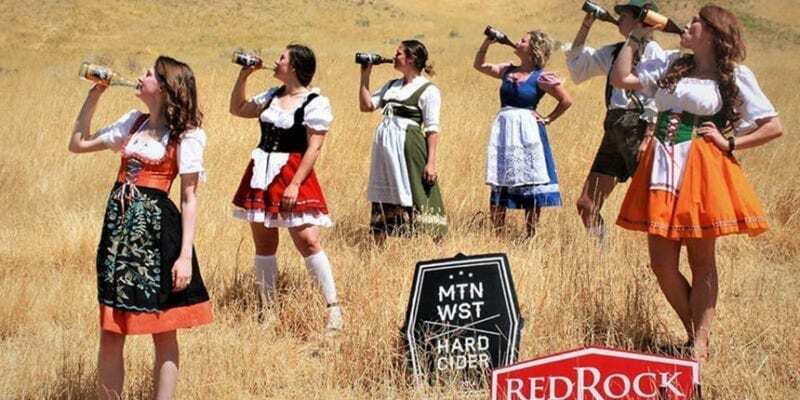 From there, it was off to Homebrew Con Club Night where Utah’s own Lauter Day Brewers were among the 40+ clubs pouring. My oldest buddy (friends since first grade) lives in Portland and joined me for Homebrew Con festivities. 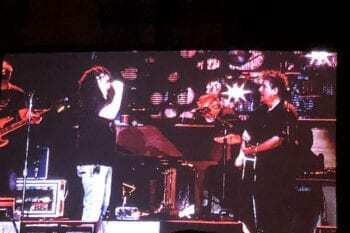 Counting Crows put on a great show in Ridgefield, Wash.
Homebrew Con ended on Saturday afternoon and I joined my buddy and his wife for a superb Counting Crows concert in nearby Ridgefield, Wash. 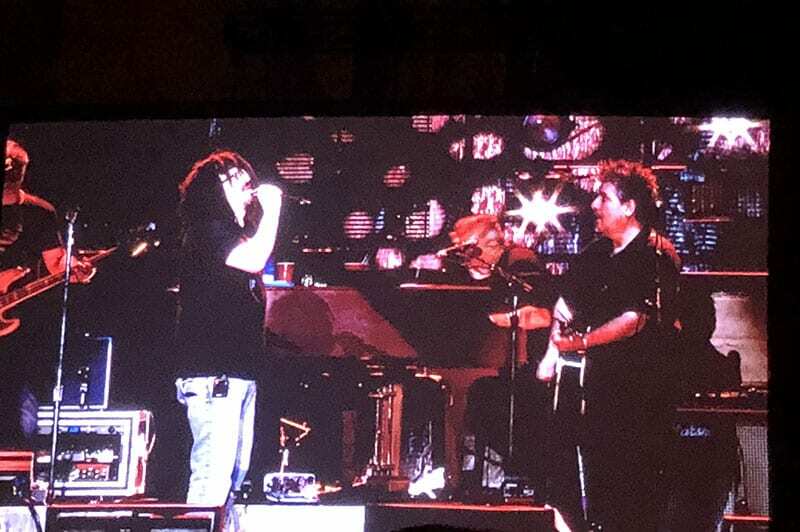 I admit: I drank two Coors Lights at the show. And they tasted perfectly fine. 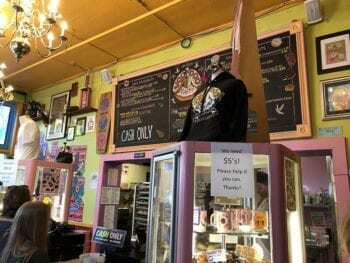 A stop at Voodoo Doughnuts is required on a trip to Portland, right? The next morning, I woke up and explored Old Town Portland. I walked across the Steel Bridge, visited the outdoor market, went to Voodoo Doughnut, and walked a couple miles to Breakside Brewing. 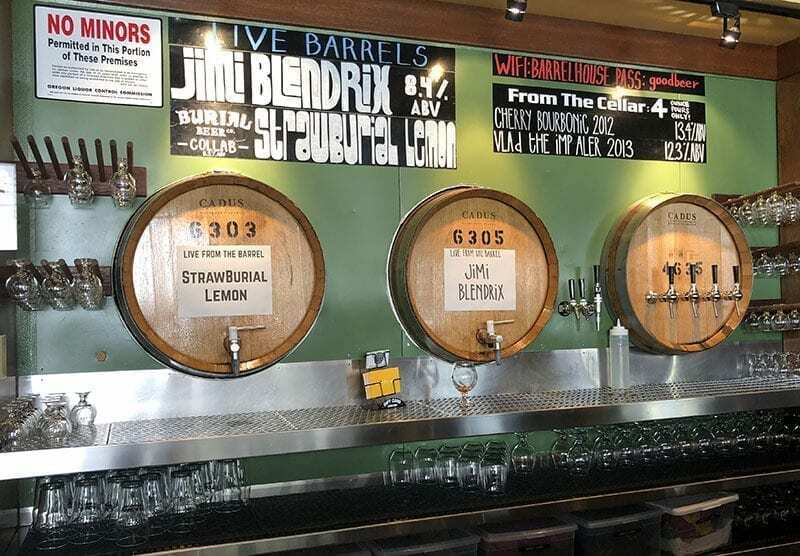 I walked into Breakside’s NW Slabtown pub and brewery and ordered a flight from the much-lauded brewery. I wasn’t disappointed. 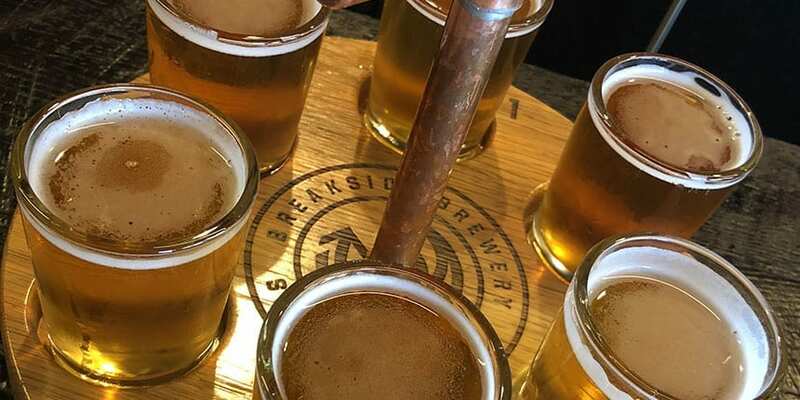 Breakside Brewing is racking up the accolades. Its beers are mighty tasty. Fun side note: Jack, behind the bar on my visit, grew up in Utah and is a West High grad. Friendly service and delicious beers (and outstanding fish tostadas) made for a perfect Sunday stop. 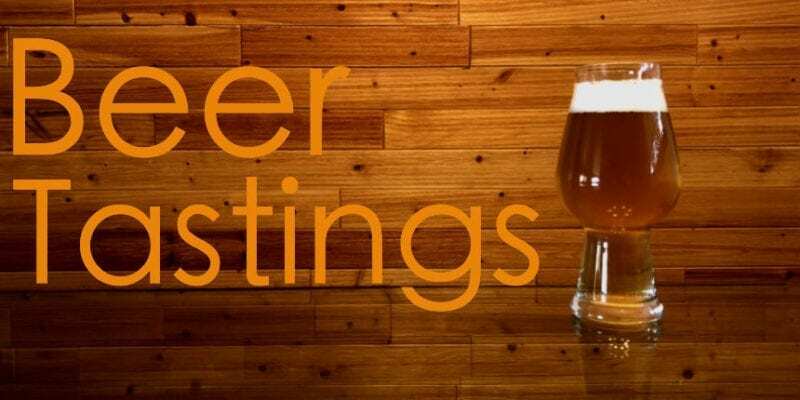 I enjoyed several IPAs, but my favorite was Wanderlust. The 6.2% West Coast IPA featured notes of tropical fruit, as well as orange. Last call in Portland. Deschutes at the airport is a good way to go. I wrapped up a remarkable trip with lunch and a few tasters at the Deschutes Brewery PDX Airport Pub. Any time I’m able to get Fresh Squeezed on draft, I will. I also tasted Fruit Fight Hazy IPA. Surprisingly, it’s one of the few hazy IPAs I had all weekend, despite lots of talk about the style. It delivered with big tropical fruit and low bitterness. 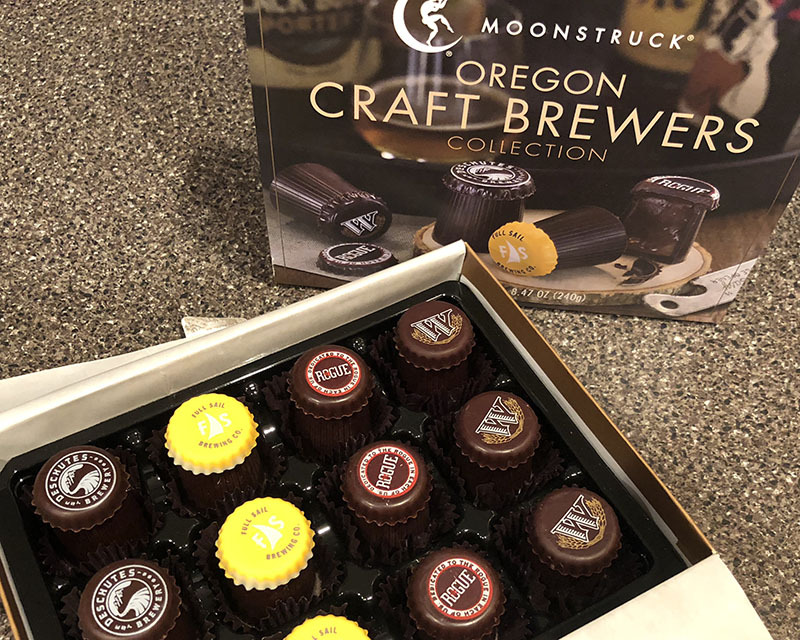 One last note: I highly recommend the Oregon Craft Brewers Collection of chocolate truffles. Part of a birthday present from my buddy, they were so delicious. These chocolates were part of a birthday gift. They were delicious. 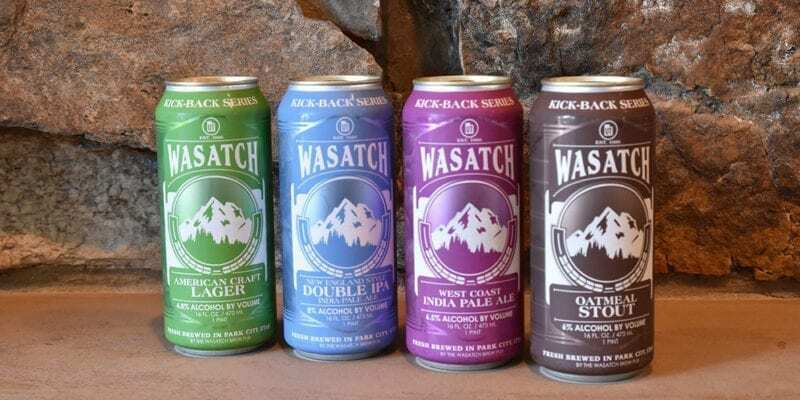 All good things must end, which means it’s time for Beer Travels by Utah Beer News to fly home. 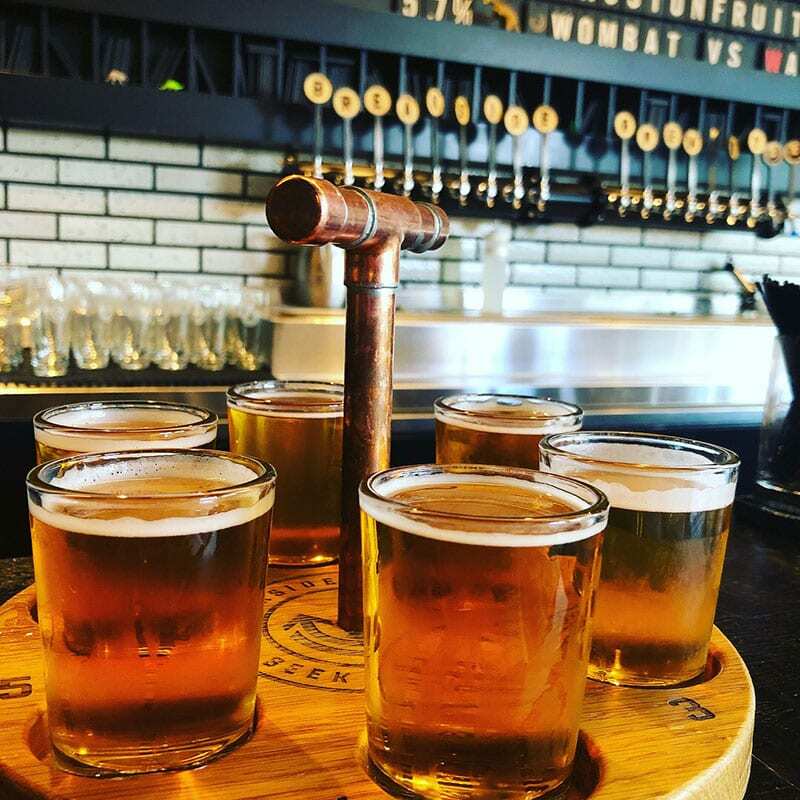 Though we only scratched the surface of craft beer in Portland, we had a great time tasting (more than) a few brews. This entry was posted in Beer Travels, Blog and tagged Portland. Bookmark the permalink.